Bridgestone Golf and The Hackers Paradise have come up with an amazing contest for all of our readers. Bridgestone and THP will be holding a contest starting tonight April 27th and will conclude June 30th at 8pm EST for a VIP Tournament Experience. The WGC Bridgestone Invitational is held at the Firestone Country Club in Akron Ohio each year and we want to send someone to the event. The date of this tournament is August 6th-9th. The field for this event is always loaded with the top players. 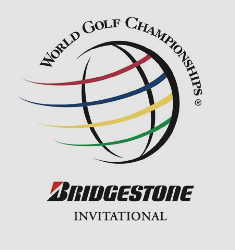 Bridgestone will have VIP tickets to the event and hotel accommodations for the lucky winner and a guest. They will also provide the VIP Shuttles to and from the event each day as well as passes to get inside the clubhouse for food and drink. THP will be providing a $100 gift card for your traveling expenses. This will truly be an unforgettable experience. Royalty treatment, unlike attending as a general spectator. All participants must write a short essay of 50 words or less explaining why Bridgestone Golf is the new “king of golfballs”. 2. This contest is open to both forum members and guests. 3. The top 5 entries will be chosen by Bridgestone and then placed on the forum for all members to anonymously vote on. Please only enter this contest if you are serious about winning and attending the invitational. We want to keep this thread full of great banter about this contest and why Bridgestone is the king of golfballs. We hope everyone has a great time with this and we want to thank Bridgestone for making this possible. Good luck to all that enter!!!! You can read more about the event or ask questions about it here. My entry is in. This is a great event. Very cool. I went to this event last year and it was a blast. But I want VIP passes this year. To get it down to 50 words was quite a challenge, but I think I got it. This is very cool and I hope I win. Plus I love the E5+ balls. I have used the B330 RX since they came out and think they are the best ball on the market. I think because of that, I should win this prize. This is really cool. I have never been to a PGA event but really want to go. Plus I live less than an hour away. Pick me Pick me. Best contest I have seen to date. I think that Bridgestone has proven they are a company on the rise and should really be looked uppon strongly when considering purchases. First the charity event (althought I did not win) and now this. Becoming the site to check out each morning. I went to this event last year and had a blast. One of the best fields in golf outside of the majors. My entry is submitted. I really like the E7 golf balls. So far they have been my golf ball of choice and I think that they will continue to be early on in this season. As a high capper, this ball seems to stay straight off the tee for me. Please make sure that if you want to be entered to submit your entry via email rather than here. I want to win this so bad I would eat a sleeve of Bridgestone Golf Balls on camera. I love Bridgestone. HAHA. Pick me! I have been using the B330RX since it came out. The people that play can keep using the ProV1. Since I found these I will never go back. I have used Titleist golf balls going back 20 years. However I would be willing to switch and go to Bridgestones if I win. I will go as far as saying I will film the destruction of my Titleist staff bag. I’ve been using the e7+ all year, and it’s worked great for me. Oddly enough, I hit the e7+ straighter than the e6+, which is their ‘anti-slice/hook’ ball. Just goes to show that different balls will perform differently for different people. This place just keeps getting better and better. I found this site via a google search for Bridgestone e7 golf balls and have not left since. What a great contest. I still play Titleists, but with all this talk about these balls, I am giving in and giving them a try. VIP passes, hotel, and travel money? I have died and gone to heaven. All this for talking about a ball I already think is the best out there. I’ve been a B-Stone guy for quite sometime. i feel they are one of the most under rated OEM’s period! When their retail is forged by one of the top forging houses you know your getting quality. Their balls have been the leader in technology for years but people are just starting to find this out. Thanks for this oportunity. What a contest. My entry has been submitted. Pick me Pick me.